The Japanese Fuji Attic Bed boasts a simplistic, clean design that is perfect for any bedroom. Making effective use of solid wooden panels, this adds to the oriental style of this wooden bed. 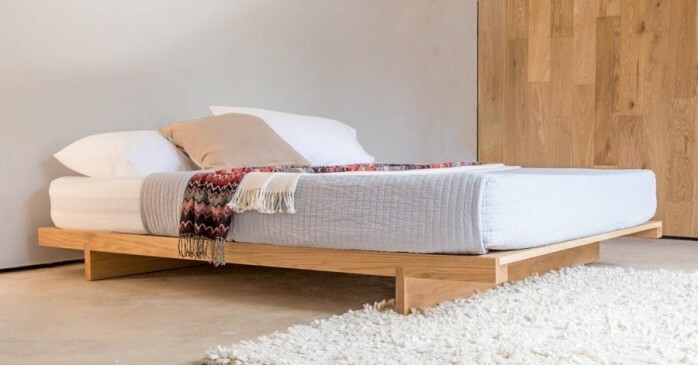 Similarly to Tatami Beds, this Japanese style low bed takes inspiration from the Japanese culture of sleeping low to the ground, a style that is becoming increasingly popular. Japanese Platform Beds incorporate a no clutter, simplistic approach featuring clean lines in the design. The unique features which are well loved and many now turn to Japanese style beds. The stunning minimalist design of the Japanese Fuji Attic Bed creates a spacious feeling in your bedroom, with the low nature of the bed frame ensuring the bed can fit into any awkward or restrictive spaces. Each of our wooden beds, including this Japanese style Bed, are handmade in the UK using 100% solid wood, so you can be confident that your Japanese Fuji Attic Bed is built to last for generations. 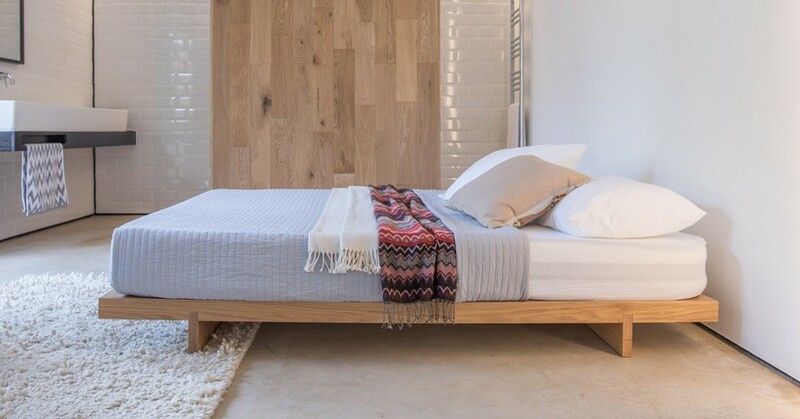 We offer an 11-year structural guarantee on all wooden beds as standard. We offer 17 different wood finishes for you to choose from, so you can truly personalise your Japanese Fuji Attic Bed to fit your bedroom style. Choose from such popular finishes as the natural honey, elegant white and contemporary grey wash satin stains. Hardwood options are also available, so you can match your Fuji Attic Bed to your existing furniture with ease. From the stylish solid Oak to the unique appearance of our Walnut and Ash. 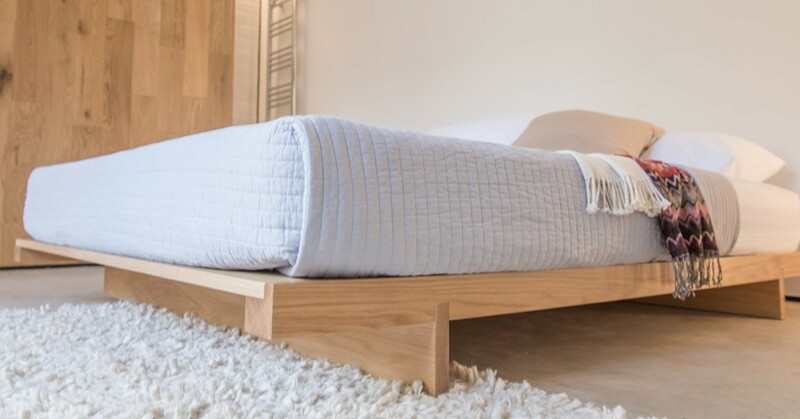 As all of our wooden bed frames are handmade to order here in the UK, our team of expert craftsmen are able to alter the design or dimensions of your bed for a small fee. 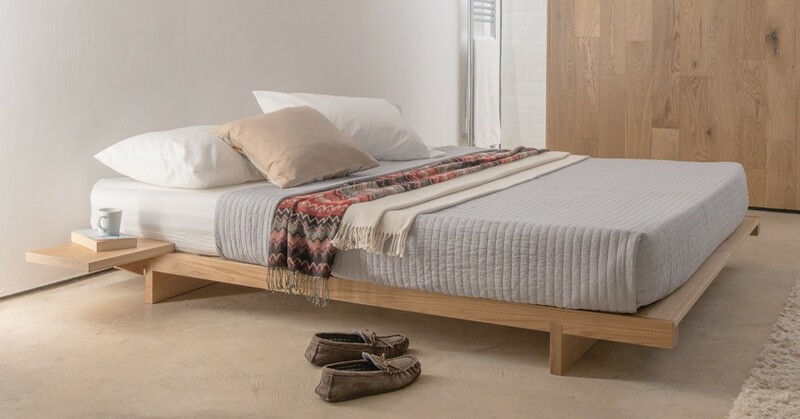 So whether you are after a bed with extra height or perhaps one that's wider than standard, we can make this possible so you get a bed frame that suits your bedroom needs. If you’re looking for a different design, but still want the Tatami Bed style, we have a collection of handmade low bed frames that you can choose from. Popular choices include our Low Oriental Bed (Space Saver), Low Tokyo Bed (Space Saver) and our Low Modern Attic Bed design make brilliant loft beds. Please note that mattresses, bedding and accessories are not included. These can be purchased separately.